Okay, so it looks more like a header from a severe lip launch a little too close to the beach. A lot of surfers have found that yoga is an incredible complementary activity for surfing. It maintains flexibility and core strength, even for old guys. Yoga is also a great mental preparation for dealing with The Crowd. 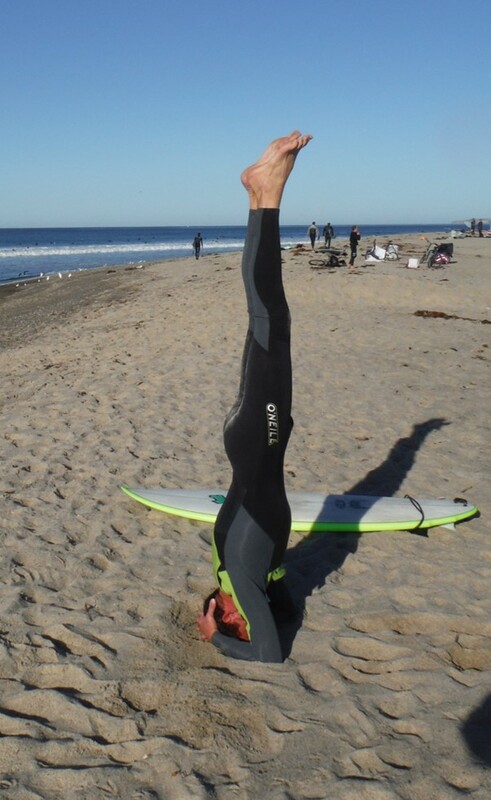 A headstand after stretching and before you paddle out helps get you centered for the sociological interplay in the water. It also prepares you to relax when you get dragged to the bottom on a big wave and you’re not sure which way is up. When you combine yoga with swimming or a cross-fit routine, you are ready to hit the rising surf without missing a beat, even when the waves have been flat for a long time. So give it a try at your local yoga studio. Today was a Seattle day at our favorite surf spot–lots of fog, clouds and general gloom. The sun never showed, but the water and lighting were beautiful. But, it was also one of those few winter days when the swell came from due West and popped up some long, fast waves that were still makable–plenty of zoom at Uppers. In fact, today Uppers was bigger than Swamis an hour to the south, which picks up more of a West Northwest. 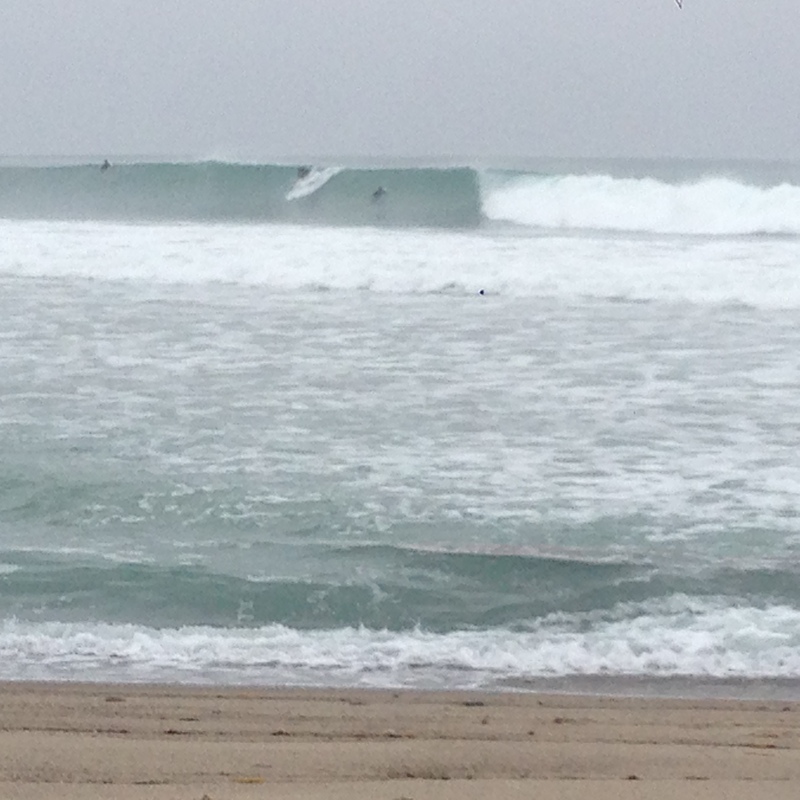 In recent weeks, a lot of the Crowd has been spread to other SoCal spots that pick up the winter swells better. Personally, I’ve been putting the miles on the car between Cardiff and the south side of the Huntington pier. 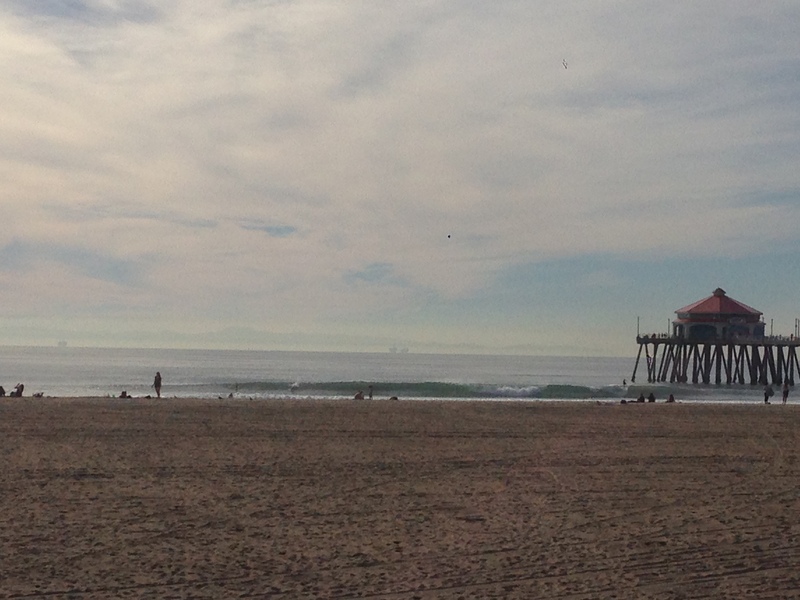 Huntington has been pretty consistent, spitting out a ton of barrels. Others have ventured to Todos Santos for some 15-foot Killers and Rincon for some interminable 5-footers that wear out your legs. Nice stuff. So, hopefully the post-holiday flat surf doldrums are gone for now. As long as we get the zoom, we can live with the gloom. I have not historically been a longboarder, although like most So Cal surfers, I’ve always had one in the rafters. Then, my sons started WaveStorming (soft tops from Costco) and convinced me that longboards of any kind actually help our shortboard styles and abilities. What clinched it was when the south swells died in the Fall. 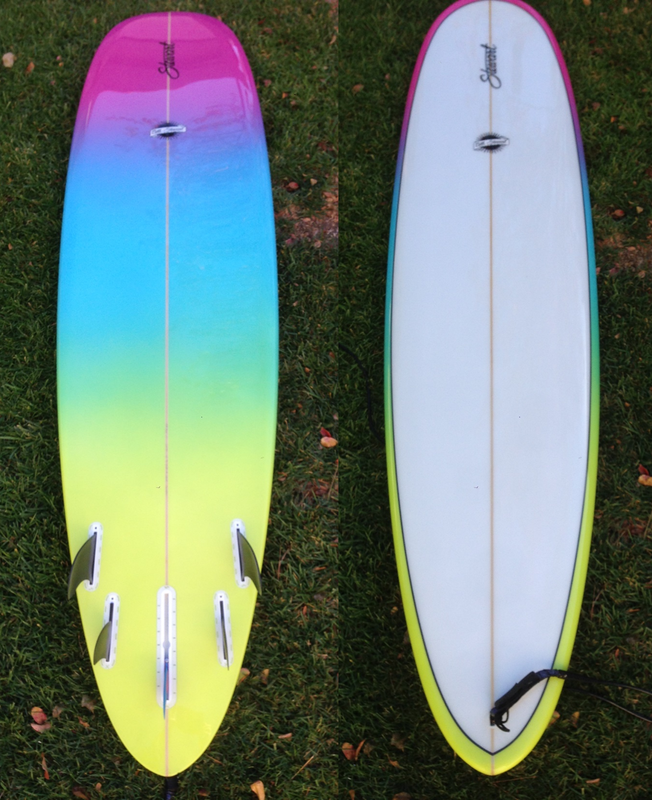 Sooooooo–now I am the proud owner of this sick Stewart 8-oh funboard, that by the way is also a great noserider. Chad helped me design it. Geoff Madsen, head shaper at Stewart, put his skills to work. And, their glass artist ( I didn’t catch his name) put on the finishing touches. Thanks guys. Well done! This board smokes and looks hot. But, just to make it clear, I understand the responsibilities that go along with longboard ownership when you’re part of The Crowd. I may show up at Uppers with my new tool, but it won’t be to abuse its crowd squeezing abilities. It works best in light-crowd barrels and at longboard spots. So, hopefully The Crowd will be pleased.